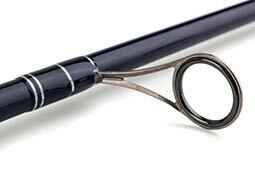 There will forever be the arguments both for and against long and short rods and lure fishing. This rod, the 11ft version of this lure series isn’t interested in arguments, only performance across a wide band of methods. It’s not a rod that will do everything, nor is any other. Indeed, it was borne of certain needs and requirements. The prototype has been tested across many methods and varied conditions for some time, each outing performing in a manner befitting it’s design but, over this interim period between conception and release, has shown what really lies under the hood. At 11ft 2 equal sections it’s a rod that has reach, power and versatility. It has extreme range for a range of lures at the heart of its design brief. It is a near through parabolic action rod that loads and loads but recovers very quickly. This is something the whole range has captured throughout the various lengths, seemingly allowing more out, than you put in. This feature, though a welcome mechanical illusion of fine materials is allowing it to cast lighter more aerodynamic lures on light test lines whilst at the same time having enough flex to allow the adept angler to protect those lines. The rod is very happy casting a wide band of weights from 7g to 50g (1/4oz to around 1 3/4oz). It performs with both mono and braided lines. Mono in the 6 to 12lb class and braids in the 0.6PE to 2.0PE. Practical fishing situations where the anglers needed to cast 1oz (28g) aerodynamic lures like needlefish to extreme lure fishing distances were met with a rod that delivers the lure to range yet picks up the line on the strike and plays fish no matter at what range in-between those extremes your lure is intercepted. Somewhere in there will be the ideal match to your lure or float. A reel of a size between a 2500 and 4000 is fine on this rod though in tests the 3000 shallow spooled version offered the best combination of weight and balance. 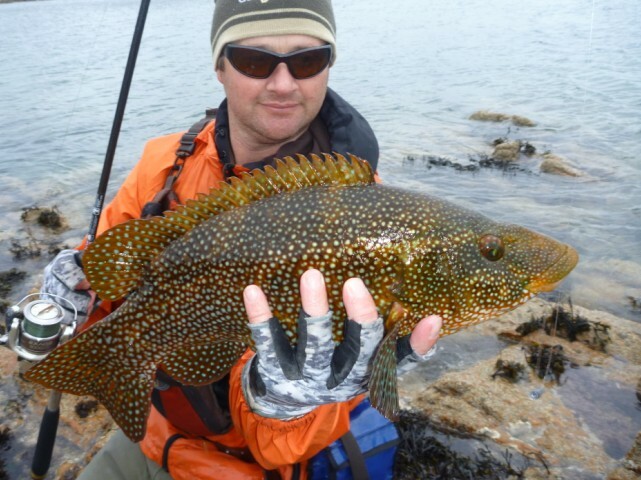 This rod has been tested extensively with needlefish lures, slim style Finnish minnows, Devon minnows and a wide range of metal lures both spinning and in-line. Aside from lure fishing in the plugging or spinning style, the rod handles bombardas in floating/semi-sink and sinking from 10g to 35g + leader + flies or soft lure with consummate ease. A 53cm handle is fitted to this model and allows the correct push/pull style of casting where the lower hand should contribute to the final effort you apply to send whatever projectile you choose to cast. 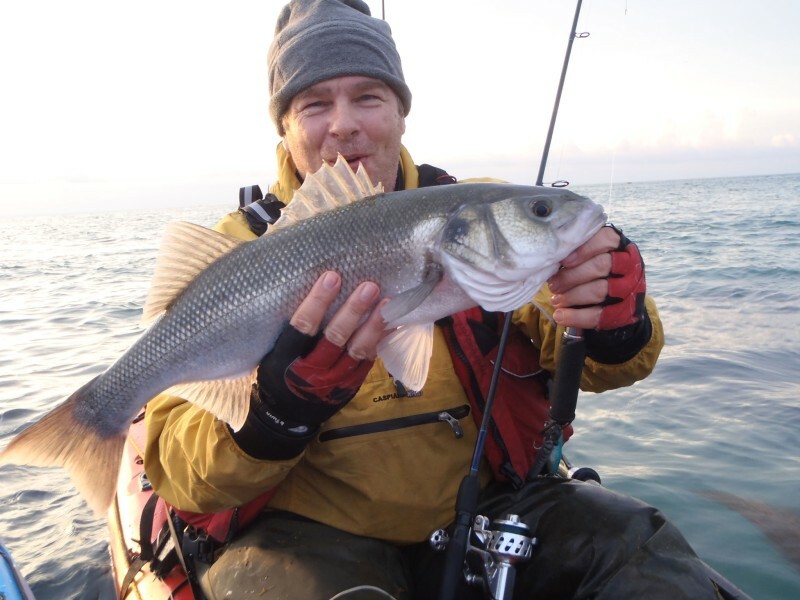 The extra overall length makes it easier to fish from higher rocks and when wading in any surf or reaching over breaking waves as that reach with the tip works both ways. 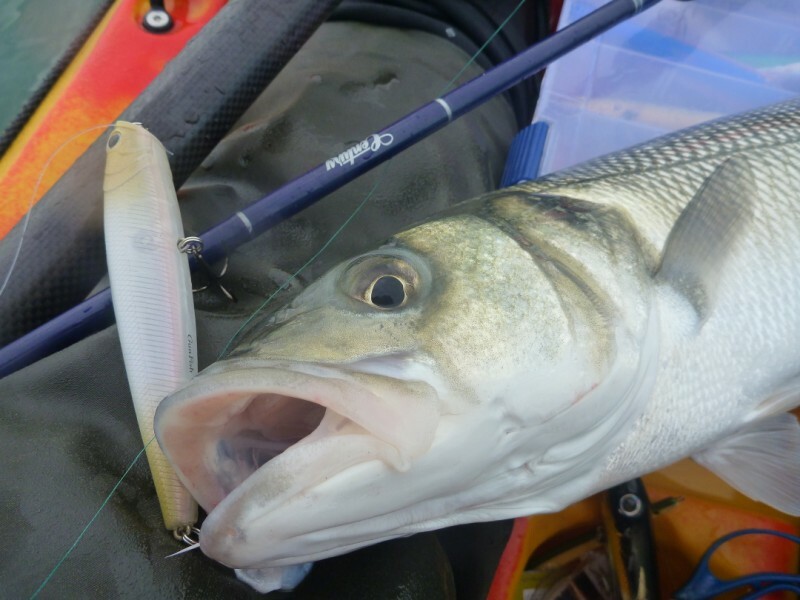 The rod has also been used with floats utilising both fixed spool and center-pin reels in the steel-head style float jigging or drift style for a number of British sea species where the extra length both affords great line control and the flex needed to play out bonus sized bass, wrasse or pollock with lighter lines. A very capable rod that turned out to be far more versatile than the original concept conceived. The Century Vectura Ti Lure rod is manufactured in UK in accordance with our quality and environmental management systems and we have complete trace on all raw materials and the manufacturing process. 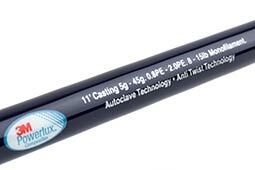 We apply our Autoclave Technology process to cure the 3M Powerlux™ resin system and advanced carbon fibre composite – to resist decay in performance by removing inter ply voids common in an oven cured rod blank. 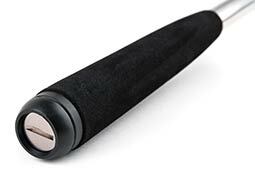 The Century range features our special anti twist technology AT-T – the placement internally of very fine grades of ultra high strength carbon fibre in the circumference of the rod blank. Attention to detail has been paramount – for example night HRF (Hard Rock Fishing) styles are gaining ground fast – so conspicuity is important and we wrap the very upper guides in reflective thread. Discreet laser graphics on 316L stainless steel mid handle sit comfortably with titanium framed SiC guides – befitting the highest specification requirement for lightness and enhanced sensitivity. 3.5" 4" 5 ¾" 7" 8 ¼" 10" 10 ½" 12" 11" 15"
3M™ Powerlux™ Composites feature a revolutionary technology that contains nano-sized spheres of silica so small, they are able to flow between individual filaments of carbon fiber, creating a matrix of strength throughout the entire composite. The resulting material enables designers to develop rods that are not only incredibly strong and durable, but also lighter in weight and more sensitive.